LADOT Bike Blog is looking for volunteers to help inventory all of LADOT’s installed bicycle parking. If you’d like to help, contact us at ladotbikeblog@gmail.com. The LADOT Bike Program has installed over 4,000 bicycle “Inverted-U” racks, and 454 meter hitches, throughout the City over the last 15 years. This is only the beginning, as LADOT has averaged just under 100 new racks per month since the start of this year. 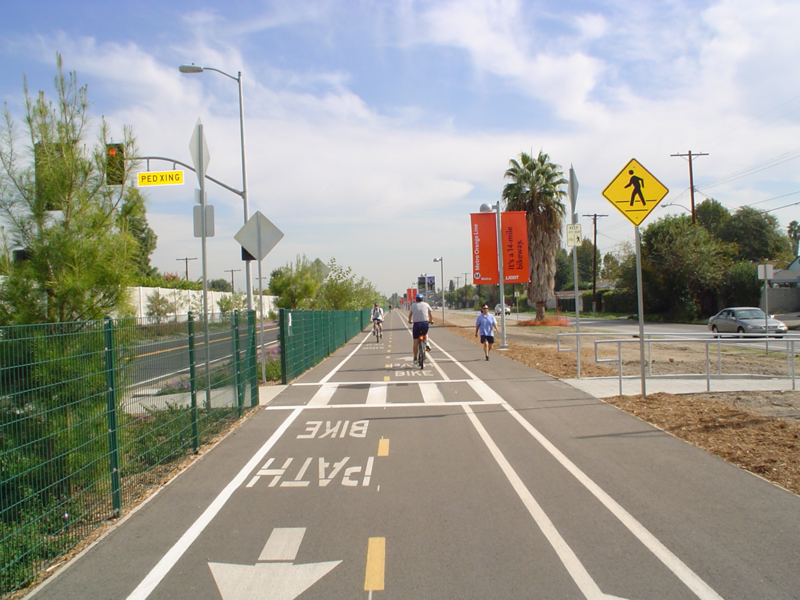 The LADOT Bike Program has, among other projects, been working to bring nearly 4 miles of new bike lanes to the north-eastern San Fernando Valley on Foothill Boulevard. LADOT Bikeways engineers last month presented to the Foothill Trails Neighborhood Council on a 1.5 mile section of this street. In taking comments from the NC, the specter of equestrian-bicyclist conflict once again raised its head, though in different form than we saw during the hearings for the LA Bike Plan. Below the fold we’ll cover the project particulars, the concerns raised by the Foothill Trails NC, some possible compromises drafted by LADOT, and what you can do to make your opinion heard. Just this week, the Bureau of Engineering signed off on a citywide Bicycle Rack Standard Plan. This new plan will be put to use as we purchase and install bike racks for our citywide sidewalk parking program. The document creates measurable standards to govern proper bike rack material quality, proper bike rack installation procedures, and proper bike rack location criteria. The new Bicycle Rack Standard Plan for City-owned bike racks is a public document, so download your own copy right here. Having these new standards in place will get all City departments on the same page when it comes to bike parking and ensure that all new bike parking is installed properly. We should take a moment to note, however, that the new standards only apply to City-owned bike racks. Bike racks installed on private property, or bike racks installed by other public agencies (such as CRA/LA or Metro), can deviate from these standards. Also, having a standard doesn’t preclude us from doing art racks or other types of racks on occasion; it does, however, make ordering new racks to satisfy business requests for bike racks easier for us. We’d like to give special thanks to former LADOT bicycle coordinator Carlos Morales for all his hard work on drafting the Bicycle Rack Standard Plan. Carlos has moved on from LADOT to take a position as the Bicycle & Pedestrian Coordinator for the City of Omaha, Nebraska. We wish him the best and thank him for his years of dedicated work at LADOT. Update: We were just forwarded the BAC’s agenda for their 4/5/11 meeting. You can download it here. The start of a new month always heralds plenty of new venues for hearing bike-related issues. The slate of upcoming meetings and hearings relating to bicycling concerns, however, happens to be particularly robust in the coming two weeks. Wednesday March 30th: City Planning is holding a public hearing for the proposed bicycle parking ordinance. Tuesday April 5th: The Bike Plan Implementation Team (BPIT) meets at City Hall for their monthly meeting. 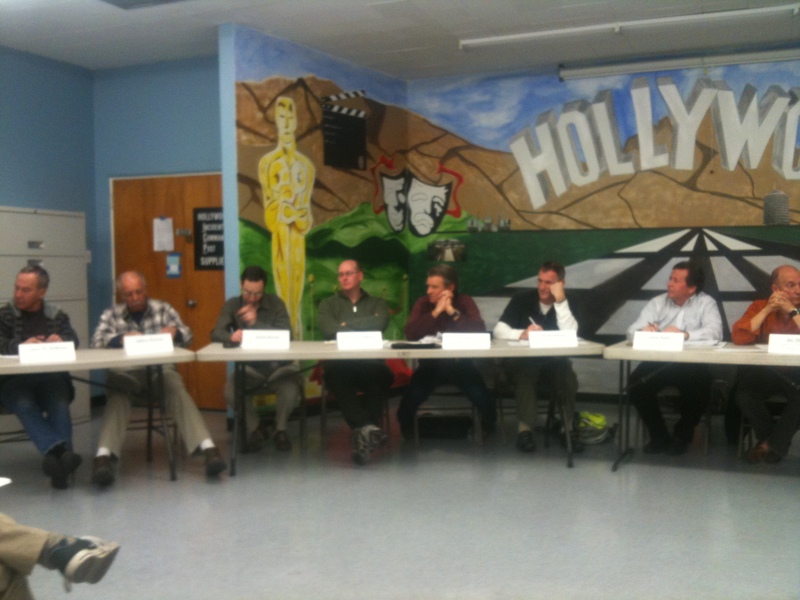 Tuesday April 5th: The Los Angeles Bicycle Advisory Committee (BAC) holds their bi-monthly meeting at Hollywood City Hall. Sunday April 10th: The first of three CicLAvias in 2011.